Another Rocky Patel Masterpiece. Very few cigars are rated 90 by Cigar Aficionado Magazine, but Rocky Patel has had his share, and his newest addition to the ranks of the elite is Edge, a cigar from Honduras that richly deserves its 90 rating. 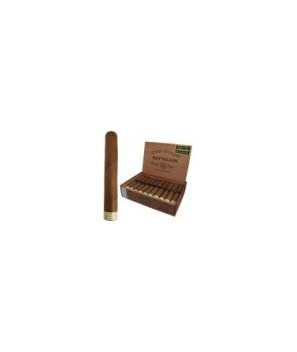 This fuerte cigar is the product of Rocky's collaboration with Nestor Plasencia, the largest tobacco grower in Central America, himself the maker of some very fine smokes. Together, they combine their talents to create Edge, an earthy, wonderfully spicy cigar with a cedar base and tangy finish that connoisseurs flock to. It's no wonder that the raters rank Edge so high. Designed for seasoned smokers, Edge employs a Cuban-seed, Honduran grown Corojo wrapper that provides a peppery flavor with a hint of sweetness. The long fillers are slowly aged for five full years as Rocky watches over their curing like a mother hen, rejecting more tobacco than he accepts. As he pushes the taste envelope, knowing others will attempt to cash in on the success of Edge, on the box Rocky Patel cautions smokers to 'Beware all imitations.' Edge is a true full-bodied original. Get your Edge today.